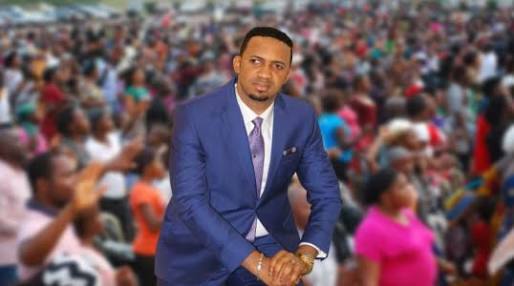 The Generational Prophet of God and the Senior Pastor Greater Liberation City worldwide, Dr Chris okafor has send a serious warning to the Executive Governor of Kaduna state, Governor Nasir El-Rufai in a matter of urgency to reversed the promulgated religion law that bind any religion programs in Kaduna state either Christians or Muslim of staging any kind of crusade/evangelism or using microphone after 8 pm in the state, the law also forbid playing of religion music inside the car accept such person get a permission through certified government agent (permit certificate)before he or she can allow to fellowship/worship God in the state. The Oracle of God has he is fondly called, said the law is specifically target at the Christians and God in heaven will not sit down and allow his mandate diminished, he warned the Kaduna state Governor that if he insist not to reversed the law within 7 days he will see God wrath. He said within two years after his re-election God will visit him, so it is better he listen to advise from above before it’s too late. It will be recalled that the Kaduna state Governor Nasir El-rufai send a religion Proposed law months ago to the Kaduna state house of assembly for reading and ratification to become law. The el-rufai law forbids public organization of crusades or public preaching of the words of God, use of microphone for any religion programs and playing religion music inside the car, the penalty for offenders of the laws range from 2-3 years jail term or the option of fine between 200,000 and above. Dr Chris okafor lamented that the law can never stand because nobody can stop God work and the Holy Spirit movement to win more soul out of the kingdom to darkness to the kingdom of light, he remarked. The man of God challenged Christians to rise up to the occasion by praying against any war raises against the body of Christ because with this law, No evangelism. Mind you the God we serve is not a dead God, he is alive, and alive to fight for himself, if El-rufai refuses to reverse or change the law, let him start to prepare for the wrath of God, Dr Chris okafor warns. In another prophesy given at the Sunday glorious service at Greater Liberation city on the 24thMarch 2019 at the international headquarters of the church the Senior Pastor and the Generational Prophet of God Dr Chris okafor said very earlier in the day God revealed to him in a vision, he said he saw a famous former president of a country in Africa waving hand to his families and love one, he said God reveals to redeem, but with proper prayer this calamity can be overturned, but he maintained that if the death of this former president will bring peace into that country ,it is better for such leader to die. Also the man of God said, God revealed to him a severe fire outbreak in a famous business arena like a market square or where serious business is taking place, he said he saw lots of business men and women in agony, he said the pains was too much on these people that some of them even die due to shock and bitter heart. The realms of the prophetic at the Sunday service witnessed breaking of different satanic coven setting the people free, the Generational Prophet of God Dr Chris okafor visited different family altars, exposing the work of the devils as some of these agents that manifested at the program declared their hatred for the man of God saying he has continue to exposed there evil hidden agenda and the people are been set free. The harvest of babies’ 2019 conference begins on 27th-31st March 2019 at the international headquarters of Greater Liberation City, ojodu Berger Lagos Nigeria.